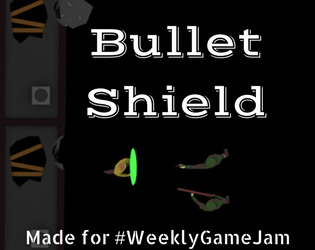 My team's submission for the 30th weekly game jam. The submission version was submitted before the 12:00 EST 2/8/2018 deadline. Any future versions were submitted after then (and thus had longer than a week to be made). Controls are WASD to move. The theme for week 30 was "Not the hero". Our game is intended to look similar to traditional bullet hell games, but the main character's goal is simply to survive, and is only equipped with a shield.